In a central location in Quarter Gimel Z.A. 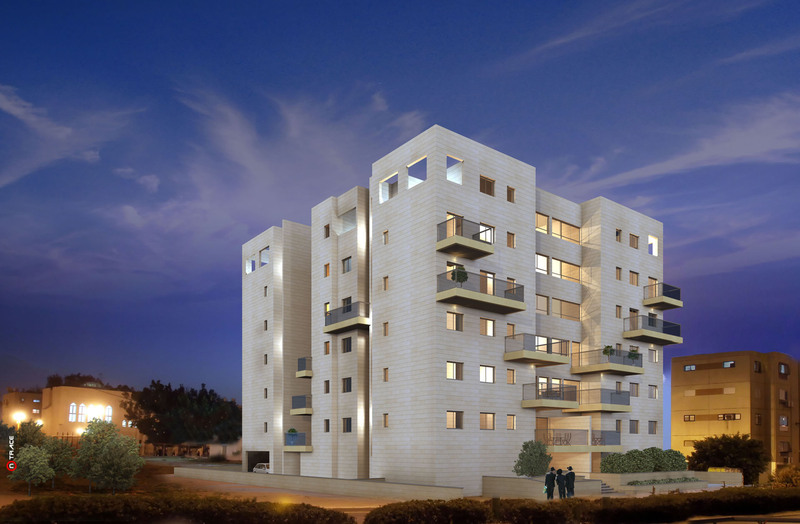 Otsar Investments Ltd. (from Otsar Group Investments) built a unique 6-story residential building with 3 and 4 room-apartments with open sun balconies (sukkah balcony). Much thought has been invested in the planning of the apartment in order to give you a high quality of life. The building is situated near the new Gimel center, public transportation, parks, synagogues and Batei Midrash. The project is intended for the orthodox religious sector.